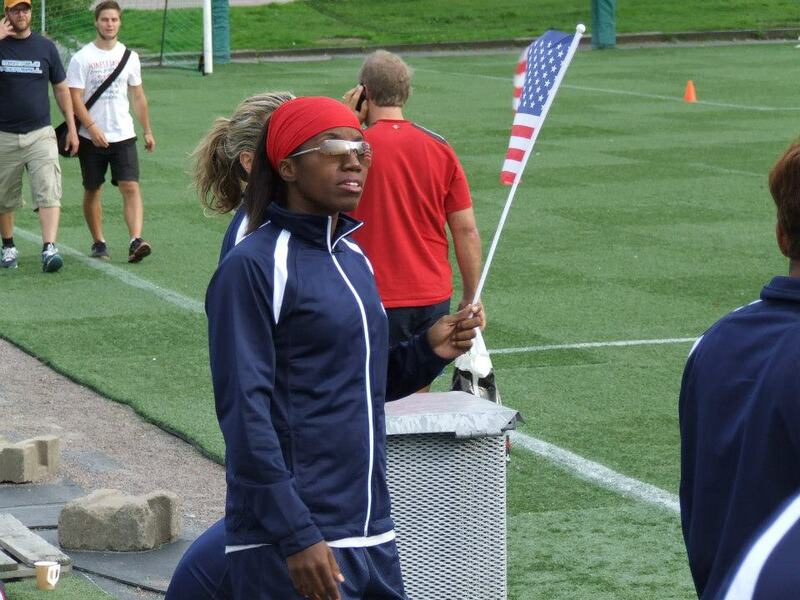 Word from TDEU: Adrienne Smith is probably one of our favorite athletes so far! 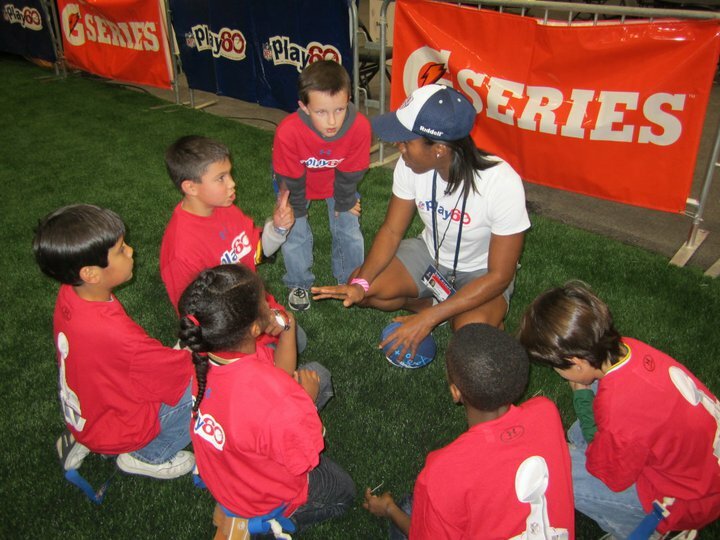 It's absolutely amazing to have a chance to sit down and talk to a woman who has such a big impact on the game - both tackle and flag football. Adrienne has been with Boston Militia for 3 years now, and during that time they lost only ONE game and they won 2 Superbowls for women. Also, Adrienne is a member of Team USA and USA National Flag Football team. I love football from the time I was born. In my family – football is really important. We would all gather around on Sunday and watch games. I remember when I was 3 years old, my dad bought me this huge teddy bear, which I named Ginger, and , Ginger was so big that we were the same size. My family would be watching football, and I would put Ginger in front of the TV, and then I would run and tackle him. That's where it started. My family was very supportive, and they didn't prevent me from doing anything when I was a little girl. When I turned 7 years old – my dad got me my 1st football and taught me how to throw. 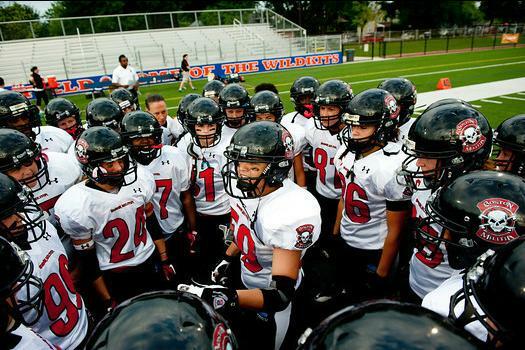 I always loved the sport, but, in The United States there are still no any football programs just for girls. So I would have to play with the neighborhood kids and with my cousins. As an adult, I found a tackle team in New York. I tried out for the team, I loved it, and I made the team. From there, I went to play for New York for 5 years. Now I'm playing WR and back up QB in Boston, for Boston Militia. 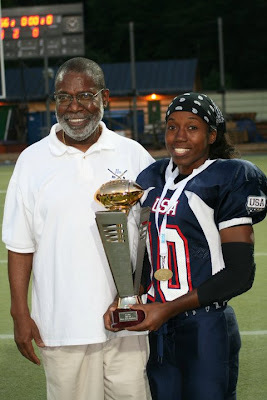 In 2010. there was the 1st Women's World Championship under IFAF. 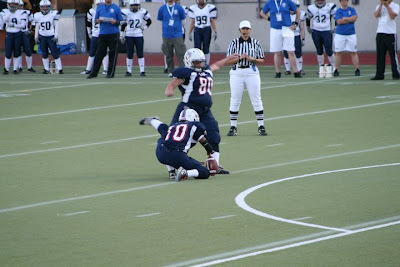 This 1st tackle tournament took place in Stockholm. Of course, I applied to be on the National Team and got accepted. I also play for the United States National Flag Football Team, as the QB. We were just in Gothenburg, Sweden, actually, in August, where we won the silver medal. Tackle football for women has been going strong in The US for probably over 12 years now. Our season starts in April, and lasts 3 months. As far as the attendance goes, it really depends on each individual team. Some teams like Arkansas or other rural areas have couple hundred fans showing up per game. In other, more urban parts, like in Washington DC and Pittsburgh – they have thousands of fans showing up. Besides that, it's also directly connected with how good the team actually is. Now, the response of people when we tell them we play football – most would ask if we played soccer, although we're in USA. 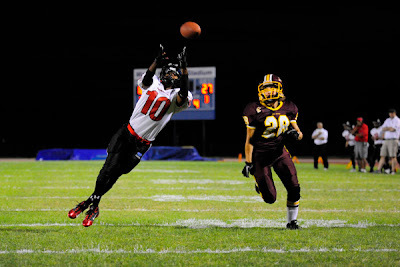 So, the thing I do is, I have a picture of me scoring a TD in 2010. on my phone, and I just show them that. People are very supportive, everyone I meet shows up at the games not long after. 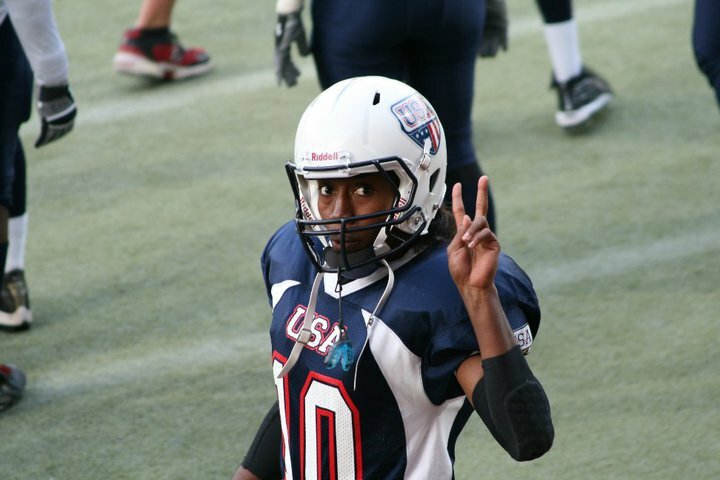 A lot of people don't know there's women's tackle football in USA. However, there's so much enthusiasm, and everyone is absolutely positive about it. 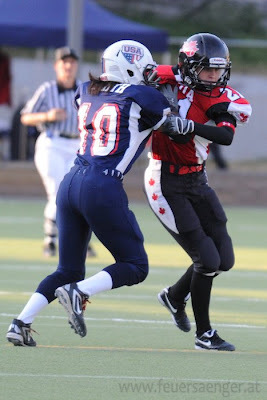 Women can be dirty players on the field, I don't get hit much, since I'm a WR and I go against the CB, so it's 1 on 1. However, the girls who play O-line, D-line, RBs and LBs – things do happen in that pile when they're getting tackled. We all have day jobs. Some are entrepreneurs like myself, some are teachers, some of the girls are scientists. Also, some are personal trainers. We have a really intelligent team. 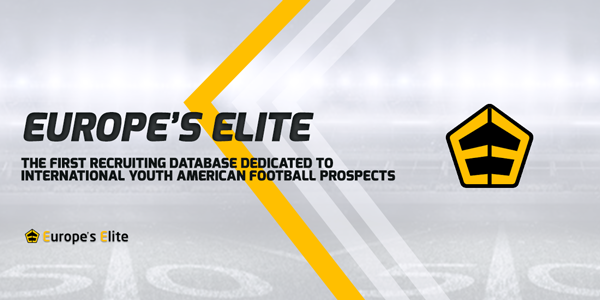 It's a very mixed group, but one thing that unites us is the passion we have for the game of football. 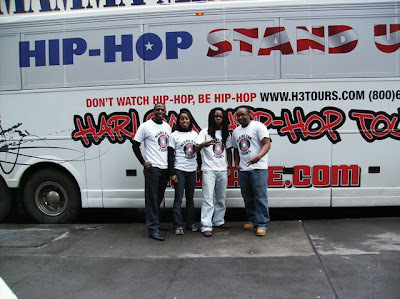 My company is called Harlem Hip-Hop Tours, or in short – H3 Tours. We provide field trips for schools. Field trips focus on Harlem, the history of Harlem and New York hip-hop culture. We take kids to a real music studio where they can learn about sound engineering, production. We also take them on a tour to the Apollo Theater, where they get to go on stage, see where people like James Brown or Michael Jackson performed. We also do entrepreneurship workshops, where we teach students how to start their own businesses. I like to call it edutainment – which is a combination of education and entertainment. I started as WR, and I am the back up QB for Boston Militia. For the flag national team, I started as the QB this year. You can hear a lot that women can't get together because there might be back stabbing. I think that type of personalities that football draws and the fact that we all have a common goal, makes it easier to participate and have a leadership role. I've played all kinds of sports throughout my life – softball, basketball, etc, and I never had a problem being a captain or playing with a team of women. It can be different in the work force, in corporate America, that's where it can get tricky working with women. But, as far as the sports goes, the fact that you're on a team with a unified goal – that kinda supersedes everything else, and makes it easier for everyone to accomplish that goal. We start training right after Thanksgiving, 1st week of December. I start getting in the gym and getting stronger. Then after couple weeks we start getting indoors and start learning some plays. We work that way indoors from Jan to March. When March comes around we head out to the field, and that's where we get ourselves really prepared for the game. Our girls don't avoid the practice, Boston Militia players don't shy away from the gym! When it comes to the practices – we're excited! It's all about clicking as a team. We want to win the Superbowl! It's time, we have to be together as a whole and practice together! Things change, people get faster or slower, you have to adjust to those changes and kinda re-learn everything again. We don't have a draft day, since there are no women's college football teams, but we do have tryouts. Rookies are treated a little bit different, but nothing major. They go bring the equipment from the shed and just stuff like that. Oh, and we make them sing us a song, a capella, when we're on the team bus, traveling to a game. It's just those fun little things. That's personal, and everyone's different. I prefer a nice calming shower 3-4 hours before the game. I like to make a big breakfast, I like to have pancakes, eggs, bacon. I also paint my nails (laughs). I paint them red, and just give myself a manicure and make sure my hands are good because I'm a receiver, so hands have to be ready. I have a certain T shirt, I wear socks of certain color, certain clothes under my gear – and every time it's exactly the same. I get to the stadium around 2 hours before the game. Depending on how tough the competition is I also have one of my teammates braid my hair before the game. Some girls are in their zone – wearing headphones, stretching, jogging around. We usually get together night before the game, have team dinner and relax. I think that the biggest thing is that we're still learning the rules of the game. I think that the overall knowledge that each female player has is not the same. You have some women who know every single rule about the game, and others who are good athletes but new to the sport, and haven't played it during their college or high school life. They come to the sport and they don't really know some certain rules and that affects them mentally how well they succeed in the game. Just that mental error. We just need to learn the rules better so we're better strategically, so when we're in the game, playing, if it's 3rd&20, and I'm a CB, I should automatically know that I don't need to press up on the WR, I should drop back, because they need too many yards for the 1st down. Makes more sense to me to give more cushion, more space to that WR and allow her to catch the ball in front of me instead of staying pressed up against her, where she goes by me and they get the 1st down, because I'm out of position. Biggest mistakes WRs make.. Not catching the ball (laughs)! Let's see, getting jammed off the line or getting pushed of your route! Now, about QBs – not knowing when to throw the ball away. Trying to make a pass that they should just not. NFL guys do that too. Or, taking an unnecessary sack. You're standing there, your coverage is good, but you're trying to force something to happen when you should just throw the ball away. As far as coaches go, it's still difficult to get good coaches. That's something where the game can improve. Coaching staff of Boston Militia is absolutely superb! Majority of them used to play in the NFL, most came from the New England Patriots. They have a very high level of knowledge and sofistication. Most of the teams have coaches that coached on the high school level, and some on the college level. Next step for most teams would be getting more experienced coaches. Boston Militia is lead by amazing coaches! Boston Militia does a lot of community outreach. A lot of the players happen to also be teachers. Every year there's a charity event where we raise funds for breast cancer research. We participate in the Somerville Parade. Somerville is the place where our stadium is located, just a lil' bit north-west from the city of Boston. Every year they have a parade where we'd set up a booth, hand out souvenirs, teach some of the kids how to throw and catch a football, and it's really fun! Right now our games are streamed online. Our season will start in April, and games can be watched live. A lot of the teams stream their games on the internet. Also, some of the teams have TV coverage, and hopefully everyone will soon. Actually, Pittsburgh has TV coverage via FOX Sports. Radio stations show support, so some of the broadcasts are covered by the radios. Winning the women's Superbowl was a DREAM COME TRUE on so many levels! I was thrilled, I was exctatic. I worked so hard, I gone through a lot of difficulty with my decision to play for Boston, because I live in New York City, but I commute to Boston 3 times a week – for practices and for games. 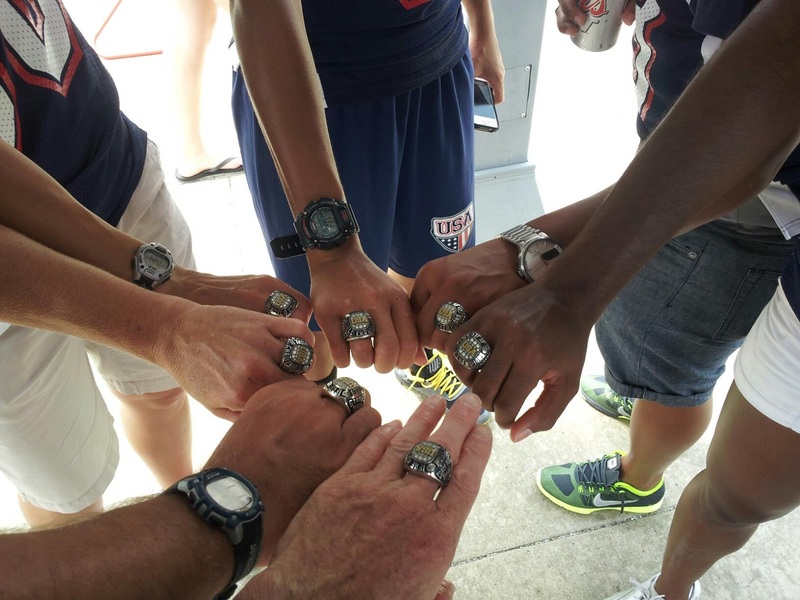 It was a huge commitment on my end, and to end up winning the Championship, it made it all worth while! It was more magnificent than I could have imagined. It was definitely different than other experiences. National team was going to be comprised from players around the country and not all of us knew each other. I had played vs. some of the other women before. Also, our coaching staff, there were two coaches who were completely new to us as well. We had to do a lot of preparation in terms of studying the playbook, we had videos online, we had to make sure we're running routes specific to what the coaching staff wanted us to run. When we came to Sweden, we took two days to just go over everything and make sure we're ready. It was very intense to get everything prepared for the tournament. 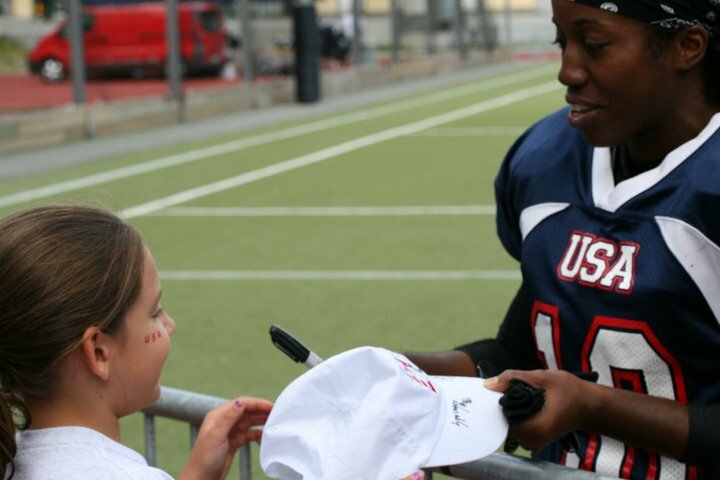 Some of the women's teams have a good relationship with the NFL teams. Now, Boston Militia, we are not so connected with the Patriots. 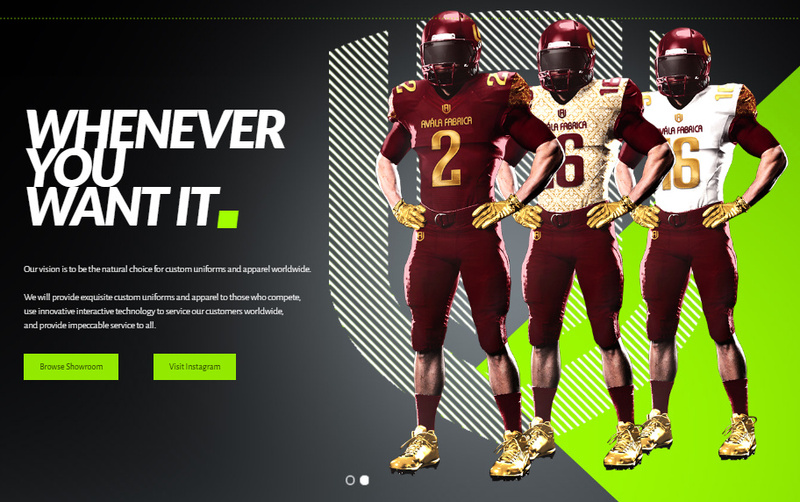 On the other hand, Washington DC team, they did a lot of work with the Washington Redskins. The women's team in Pittsburgh – Pittsburgh Passion, they are very much connected with the Steelers. They actually run a camp for women during July, which is at the same time as the Steelers training camp. Women who participate in the camp get to go on the field and watch the Steelers practice. Franco Harris, Hall of Famer, phenomenal player! He won a Superbowl with the Steelers. He actually purchased an ownership position on the women Pittsburgh team. We don't really look too kindly upon it because it is presenting women as sexual objects. I think that is a mindset that creates a lot of violence and crime towards women. The guy who started it saw an opportunity to make quick and easy money without paying attention at what might or not might be morally or culturally correct. It's a tough spot, it's a free country here in America, so you can not just say – let's petition to shut down the Lingerie Football League, but at the same time, we as women would appreciate to be taken seriously as athletes. 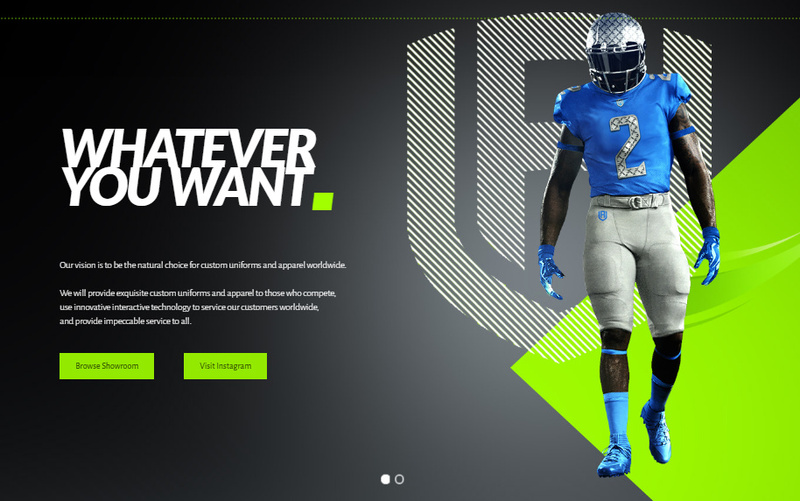 If you look at the uniforms of the women in the LFL, it really is almost glorifying stripping, where men are just waiting to see women parts getting exposed.. I would ask people to think about maybe their daughters or little girls in general. Think about what you're really saying to your children by promoting having such entity and existence. Think about the little girls and what's presented to them – that all they're good for is growing up, developing breasts and exposing them. We actually have 3 kickers. One of our kickers – she was playing while she was in high school. And, we gave her a nickname High School, even though she graduated, and she's in college now. She's like the little kid on the team, everyone treats her very well, and she has one more position – RB. Our real kicker is AMAZING! She could be in the NFL! She's the best kicker in The United States! She could easily put in a 40 yd field goal! She used to play rugby, so she can kick equally well with both feet. She has the craziest, funniest attitude, and everyone loves her. She's so good at what she does, and she has great respect from the team. "STAY PASSIONATE AND KEEP PLAYING THE GAME! 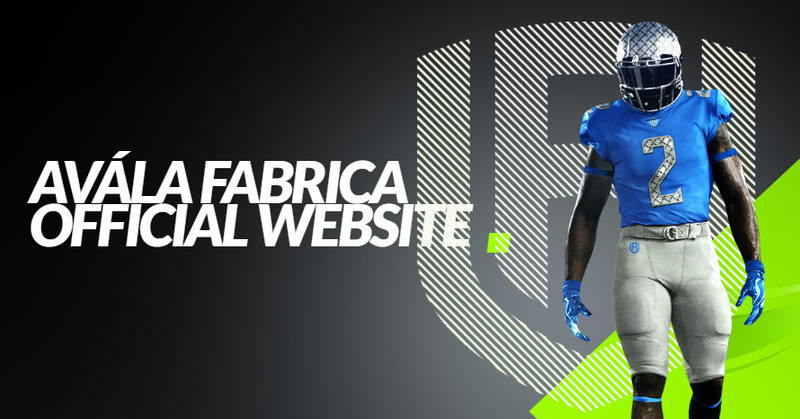 We in The US are working hard to grow the sport here, so that we can help grow the sport in Europe. And me, personally, I can not wait to report back to my Boston Militia teammates, my Team USA teammates, my National Team teammates and let them know who you are and what you're doing in Europe. 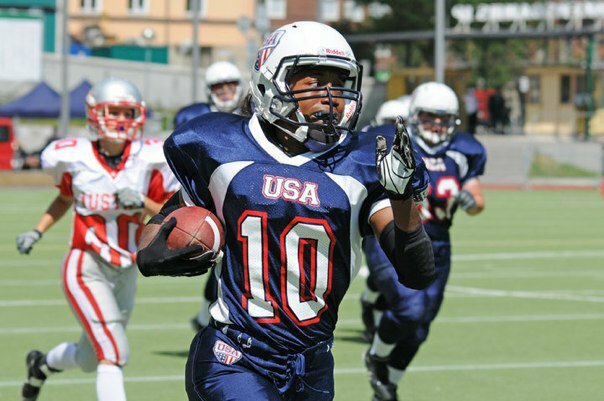 Us women in The States are working hard on promoting the sport and improving the state of football here, and that we don't even realize that we could possibly have an impact on what's going on in Europe. I think we can help spread more knowledge especially with the technology that exists."